This plant used to be called Satureja douglasii, so you may still see it being sold by that name. 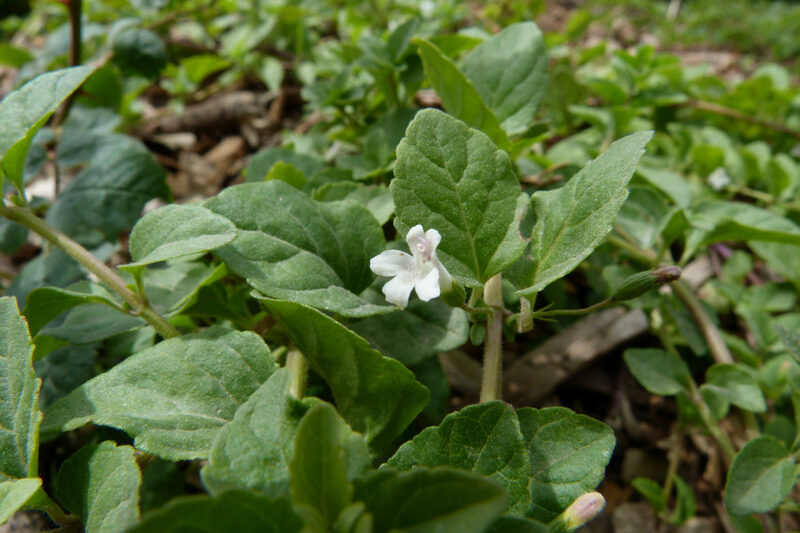 The common name "yerba buena" is Spanish for "good herb," and the leaves of this plant were dried and used to make a tea that early settlers drank to treat a variety of ailments. You can still make tea with it, or just enjoy the minty smell of its fragrant leaves. 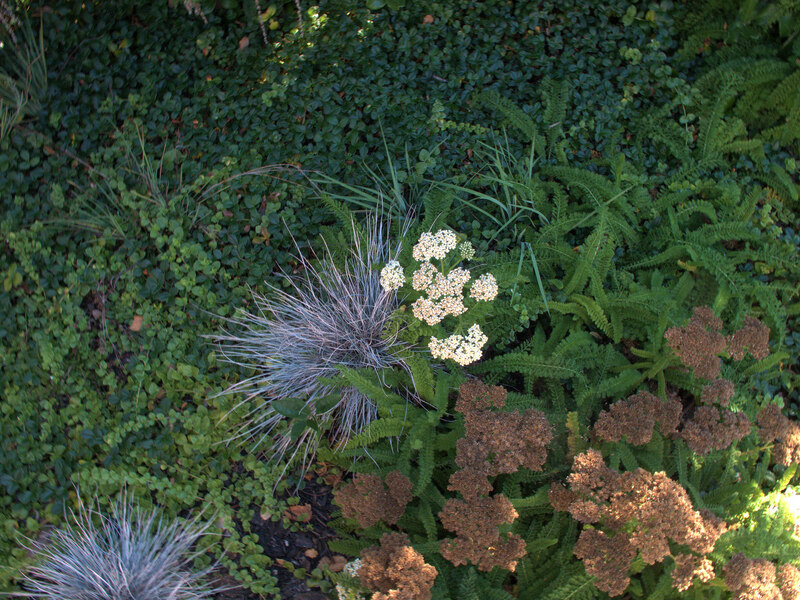 Yerba buena is a flat, creeping perennial that spreads to 3 ft. but can easily be kept at 1 ft. 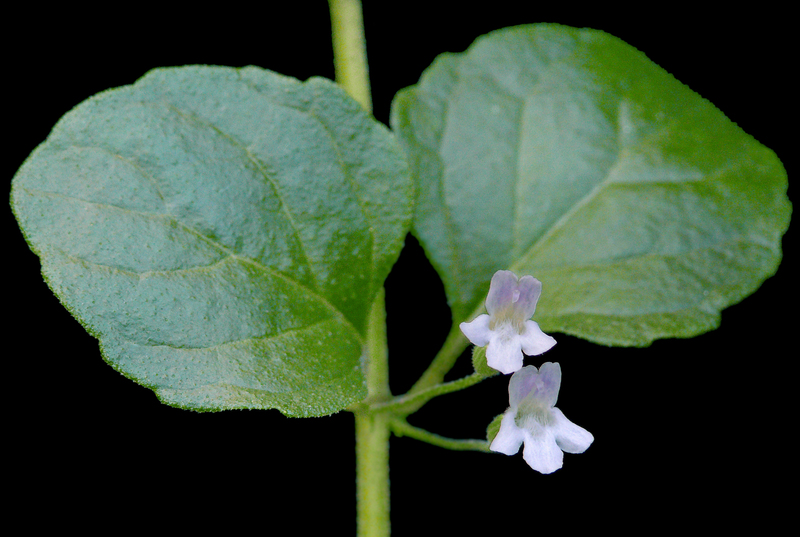 It grows in woods near the coast from Los Angeles to British Columbia. It was so abundant in San Francisco when the settlers arrived that they called the town Yerba Buena. 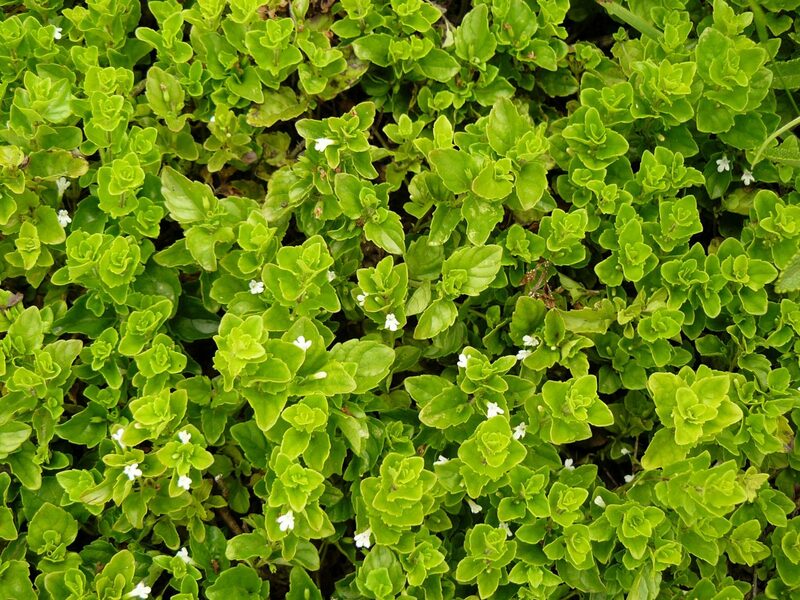 It does not have rhizomes but roots itself as it spreads, making it a good ground cover that isn't aggressive. It looks great in a rock garden climbing around boulders, and usually grows as an understory plant associated with oaks, bay trees (Umbellularia californica), and madrones (Arbutus menziesii). 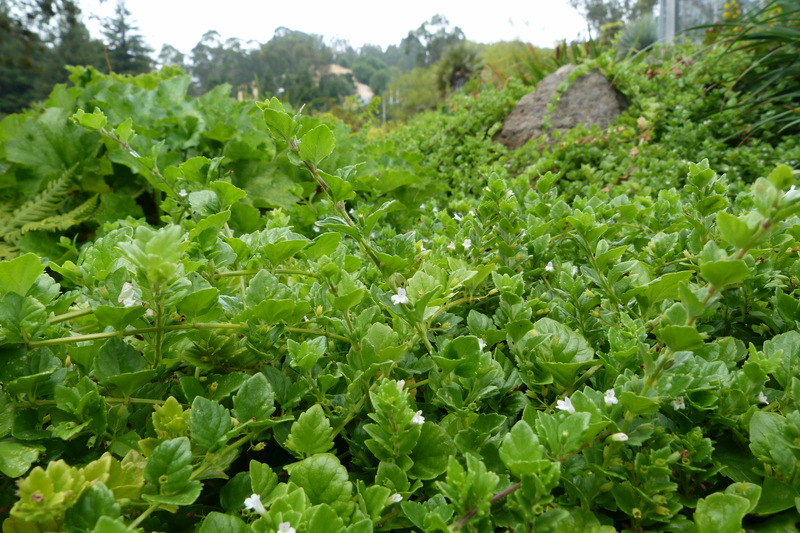 Yerba buena tolerates sand and clay soils, and is deer resistant. It can survive with no summer water but will look best with some summer water or fog exposure. Prefers shade but tolerates full sun in cool-summer climates.